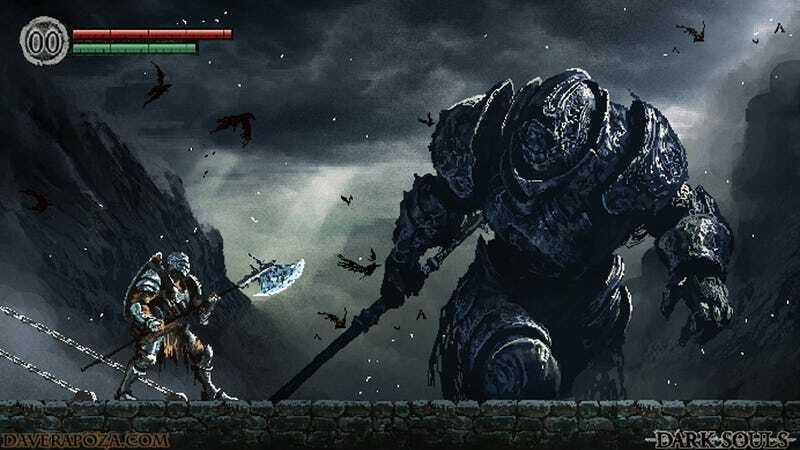 Artist Dave Rapoza took Dark Souls and reimagined it as a 2D platformer from the 16-bit era, and man I can already see that health bar dropping like a fly. Besides Castlevania, it kind of reminds me of the boss fights of ActRaiser on the SNES. Those were the nineties equivalent to Dark Souls' more unforgiving moments.